Finally Friday - YAY! I'm pumped up today because I actually made it to every 5:30 am Pure Barre class this week! Never in my life did I think I would be an early riser... still crossing my fingers but super happy to cross that goal off my list. I've actually enjoyed getting up at 4:30 am because I can get in my workout before my day would usually start. Ready to get my day in motion before 7 am! 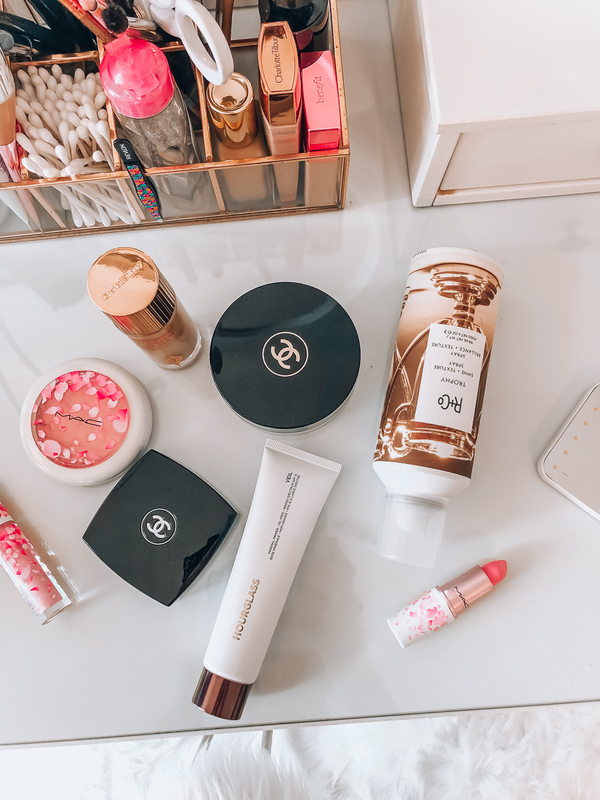 In other news, I've purchased quite a few new beauty products lately (I cleaned out and did a massive throw away) and thought I would share them all with you today and why I love them so much. OBSESSED with this tropical two-piece. I saw it online and had to have it for my upcoming trip to Florida in May. 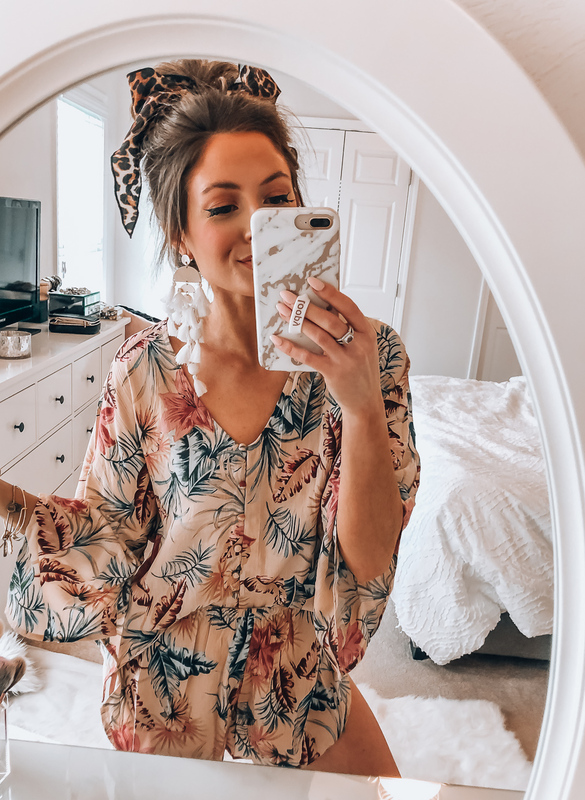 I love the color, pattern, and the fact it literally feels like you're wearing pajamas! 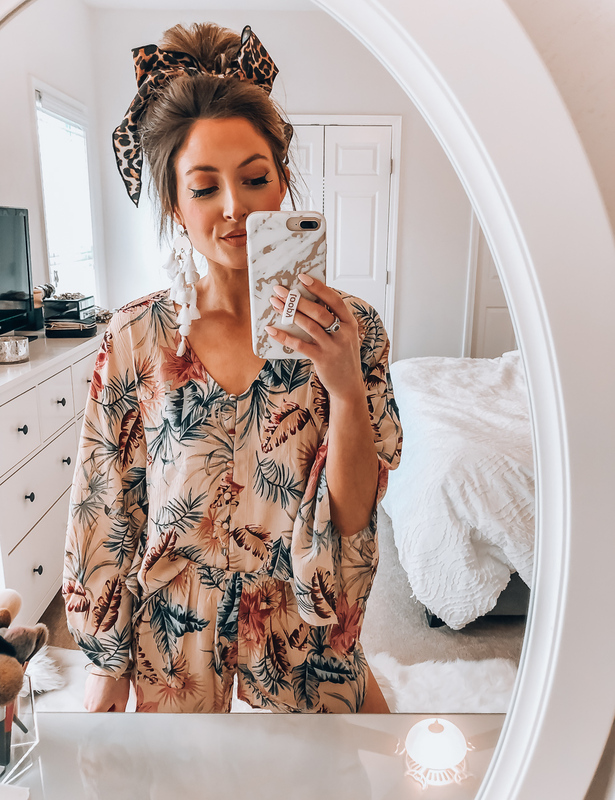 The top is under $60 and the bottoms are under $50, making it an affordable outfit you can sport on a fun beach vaca, or around town when the weather warms up. I'm wearing xs in both. I've linked my scarf scrunchie, earrings (they are super lightweight! 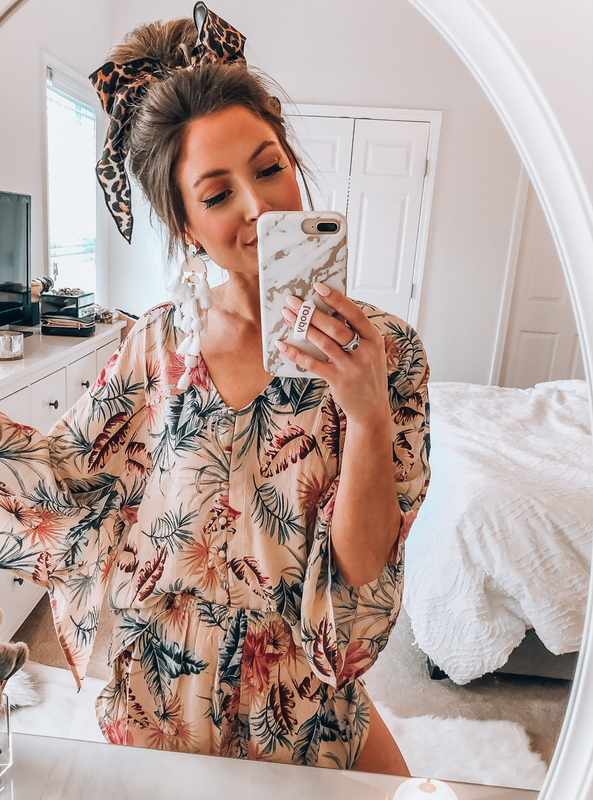 ), and a pair of espadrille sandals (tts) I'm wearing with that you will not want to pass up - the shoes are selling out fast! 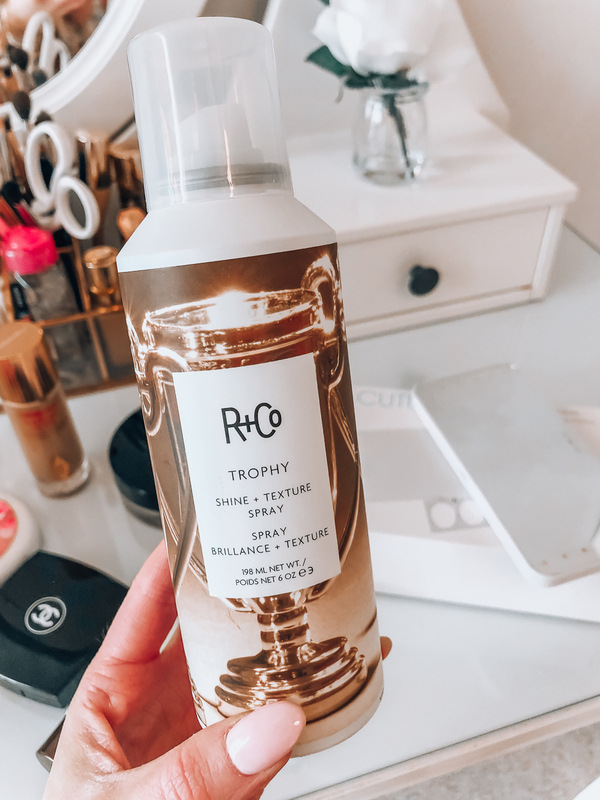 I purchased this shine & texture spray after hearing Emily Gemma of The Sweetest Thing Blog (she's my fav!) rave about it. She has the most amazing long, luminous locks so I had to give it a try. 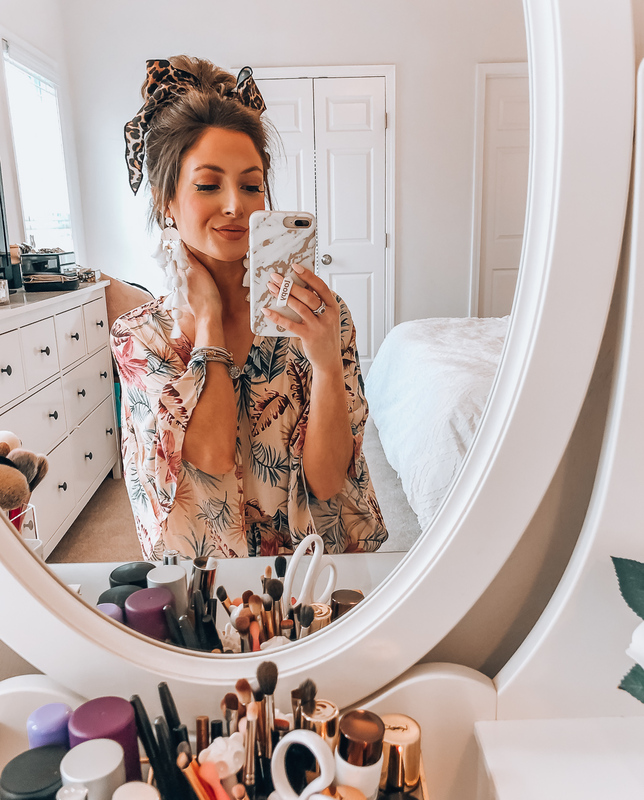 Y'all know I love some big hair and am always on the hunt for new volumizing products. I've used this a couple times this week and did feel it gave my hair more body, AND it smells wonderful! 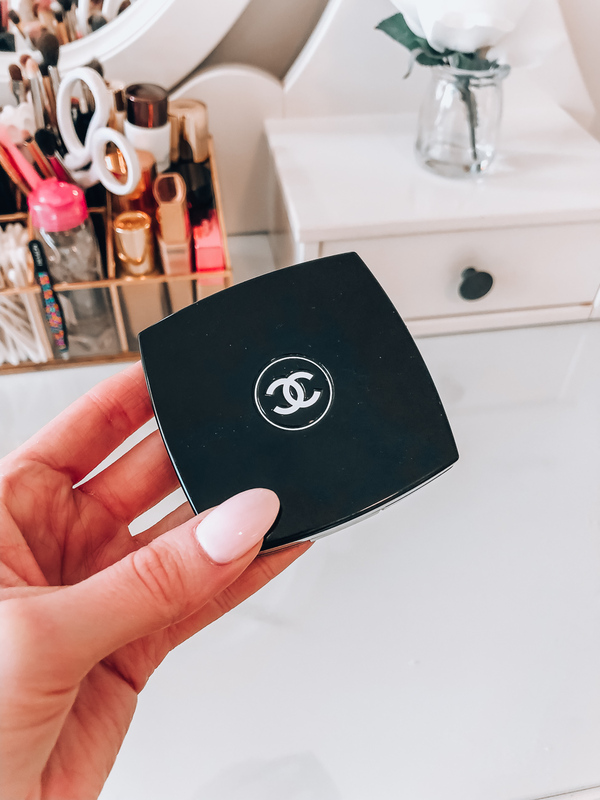 I've owned this bronzer before but honestly, I totally let it go to waste because I didn't know how to use it... and I tend to be scared of non-powder products (other than foundation & concealer). 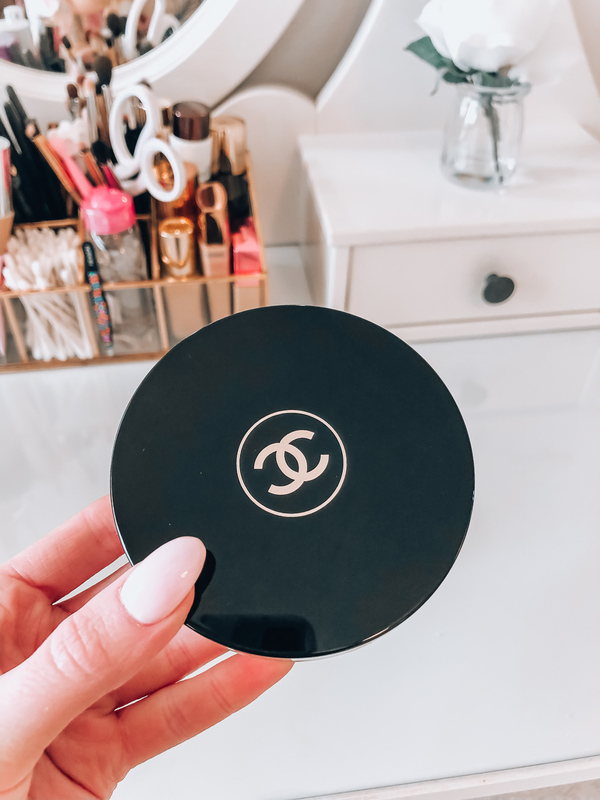 Like all Chanel makeup, it smells amazing! 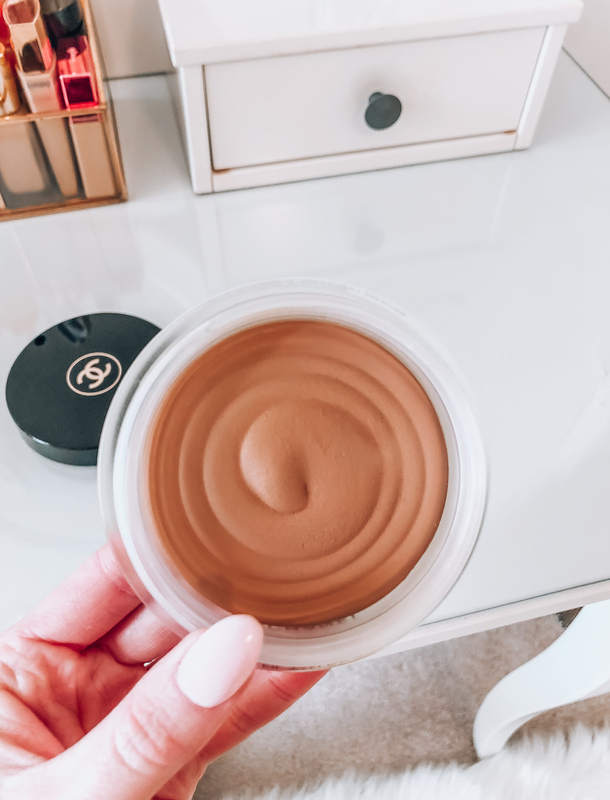 You can use it as a bronzing base before your all over powder OR, I like to use it on days I don't want to wear a full face of makeup. It gives the face a beautiful bronzed glow and the buttery consistency doesn't dull the skin. This is my favorite primer everrr! I've tried lots of others, both drugstore and high-end, but I always come back to this one. I ran out of my 2 oz. tube a while back and tried to find a cheaper alternative, but for me, it's totally worth it to spend the money for the quality. 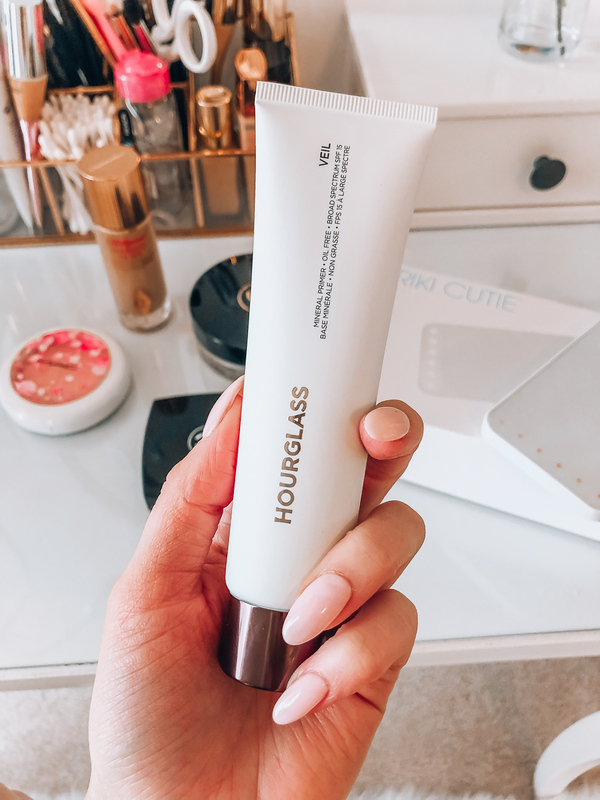 I love the consistency because it doesn't clog my pores and it isn't silicone based. It's more like a smoothing moisturizer and totally makes a difference in the way my makeup wears. Also, this giant tube will last you over a year! I talked about this product on Instagram stories earlier this week. 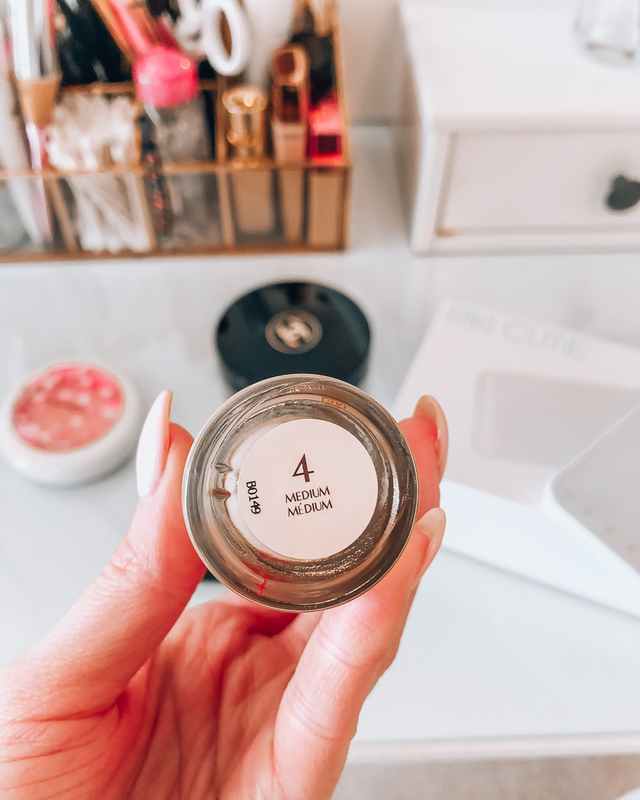 Since I've been getting up at 4:30 am to head to workout, I've been trying to find makeup alternatives that help me to feel and look awake, but that don't take a lot of time. 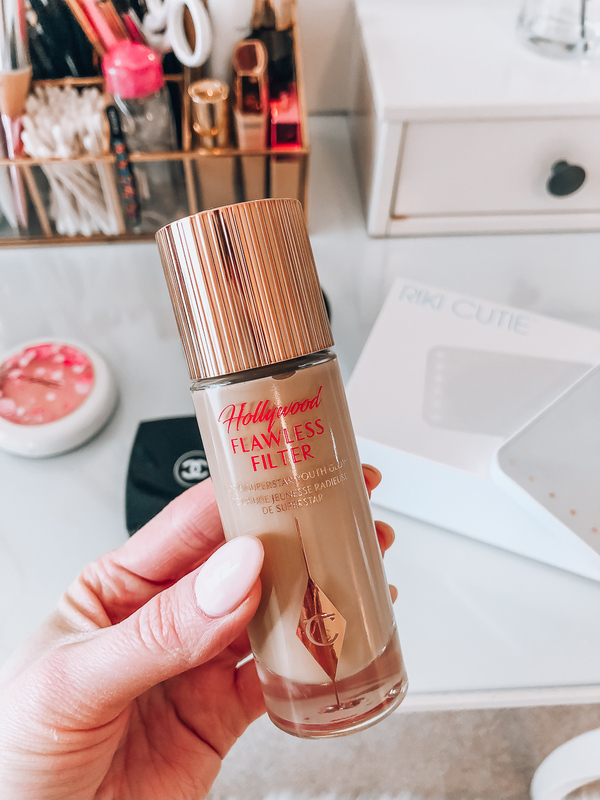 This product is designed to use under your foundation to blur imperfections and give the skin a gorgeous glow - and it totally does! It even looks amazing worn by itself as it's incredibly luminous and gives good coverage. I wear shade medium. 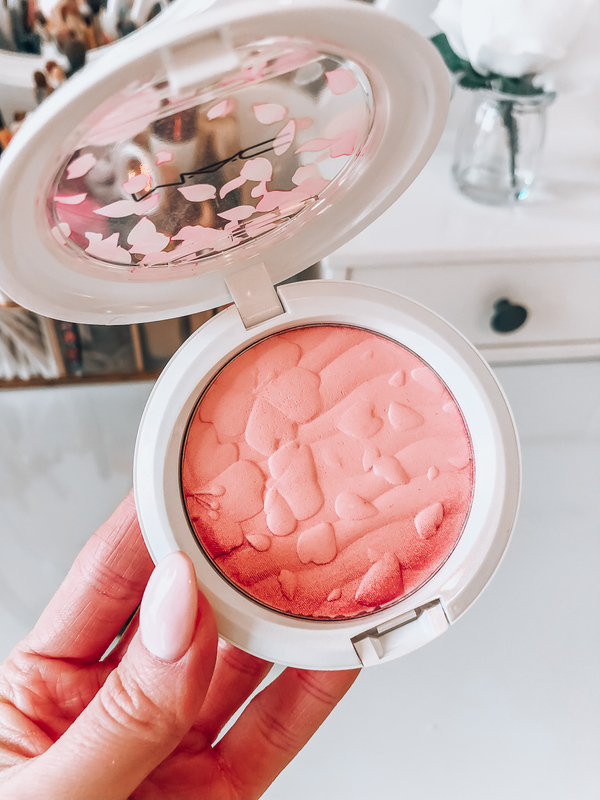 Oh my goodness, this blush is so pretty! I'm always a sucker for a pretty pink blush, but this one definitely takes the cake. It's dark enough to be a great universal color but light enough to still translate as a pink and not a red. There is a small amount of shimmer that helps to create a beautiful glow, and like the bronzing base, it smells so good - like candy. Color is Pink Explosion. This is another product I found through Emily Gemma. She travels all the time and shared this portable mirror on one of her trips. 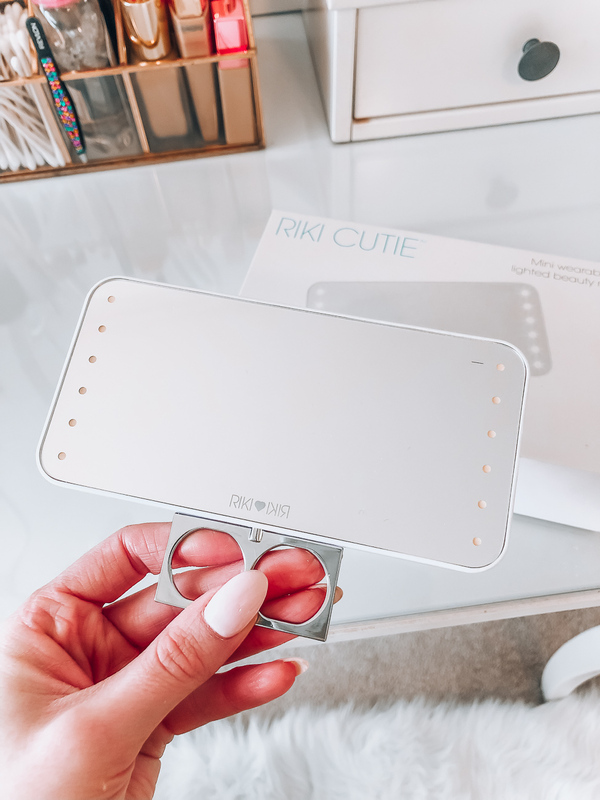 I love that it has a finger attachment so you can easily hold onto the mirror while applying makeup. It also has a back armrest so you can set it down, and the light has three settings and gets super bright! A great size to keep in your purse, travel bag, or vanity. 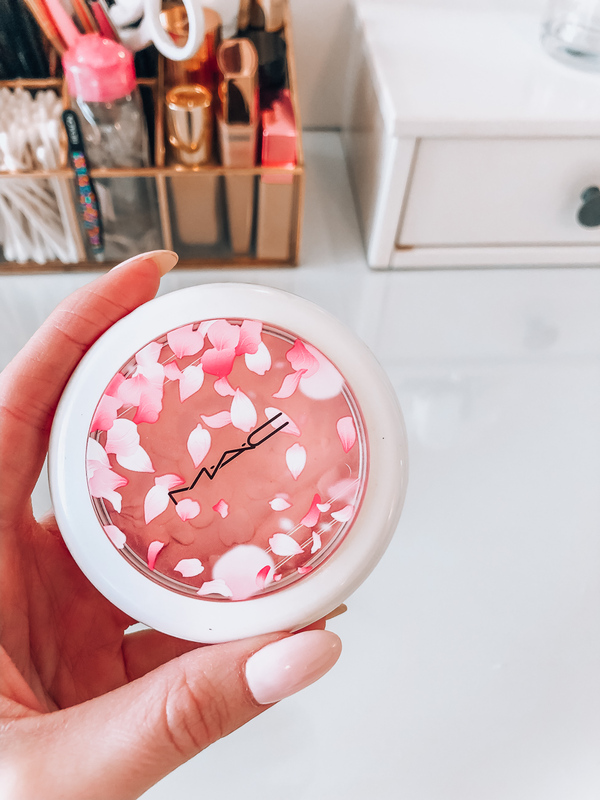 I'm a huge fan of MAC products and this new collection covered in cherry blossoms is one of their prettiest to date. I love that the collection is full of pinks and Spring oriented shades. I picked the color "Hey, Kiss Me!" (such a cute name!) because it's the lightest pink. 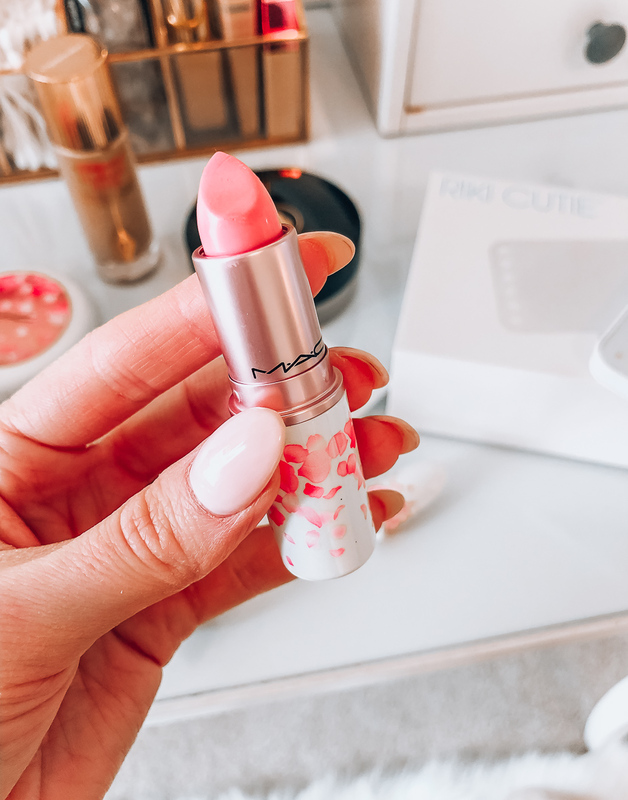 Definitely, recommend if you're a fan of lighter colored lipsticks, but if not, there are plenty of other pinks to choose from! Much like the lipstick, this gloss is the lightest shade available and I love it! It adds a beautiful light pink sheen to the lips and does contain some sparkle. There are also three other pinks and berries to choose from that would look amazing on a wide array of skin tones. Color is For The Frill Of It. I'm sure you're surprised, but I also bought this highlighter in pink. They made both pink and gold, and the packaging is amazing. 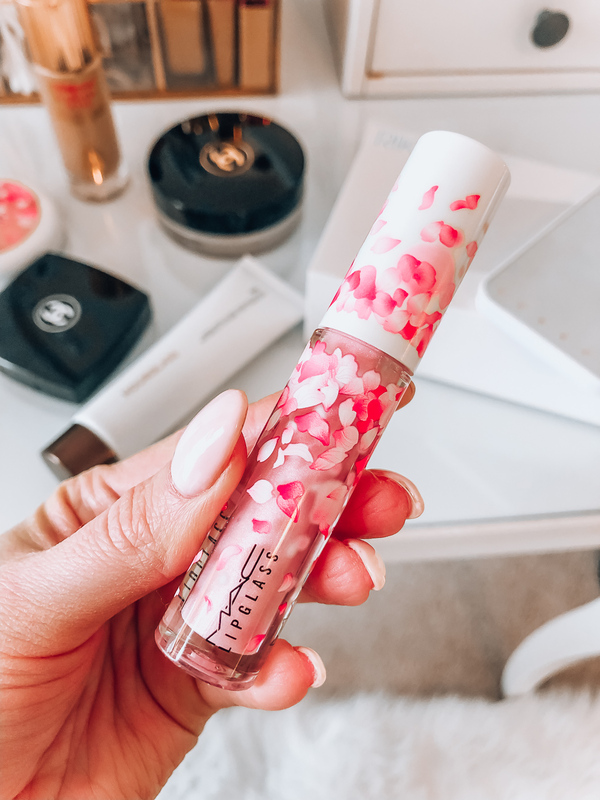 They even created the shape of cherry blossoms in the product itself. 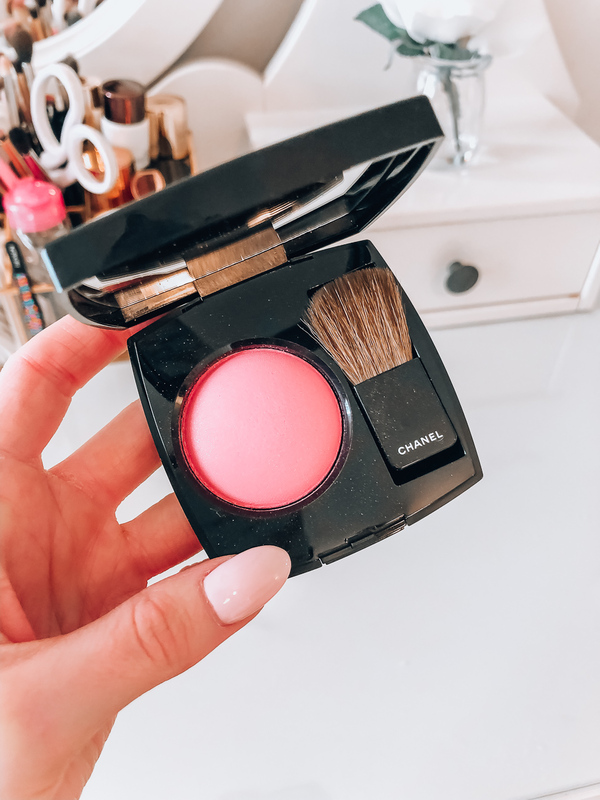 I've been loving this on the apples of my cheeks before applying blush! Color is Fleur Real. I hope you all enjoyed this beauty haul - there are definitely more to come. P.S. I linked my falsies and my nail color is Pink Champagne by Cuccio (it's a gel). Lip color pictured is MAC Peachy Peter (sadly, discontinued) with Boldy Bare liner.